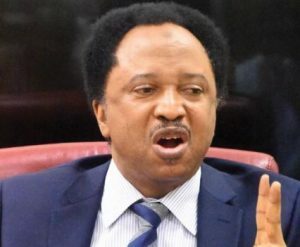 Shehu Sani, the senator representing Kaduna Central, says governors under the All Progressives Congress (APC) have no respect for President Muhammadu Buhari. Speaking on the ongoing crisis rocking the ruling party, Sani said National Leader, Bola Tinubu had done his best to resolve the crisis that forced him out of the party but that Tinubu did not achieve much because he is not from the north. The Kaduna lawmaker claimed President Buhari and the National Chairman of the APC, Adams Oshiomhole were too weak and have succumbed to the powers of the governors. Sani in an interview with The Nation said: “I must be very frank with you, Tinubu has done his best but there is a limit to what he can do. DAILY POST recalls that Sani sometime last month resigned his membership of the ruling APC and joined the Peoples Redemption Party (PRP) due to injustice in the party.